The Main Intelligence Module (MIM) is the "computer" of the Symmetra RM. The Main Intelligence Module communicates with the outside world and synchronizes the modules. It gathers and processes data, including monitoring the condition of each of the modules. APC Symmetra LX Intelligence Module. Accessory solutions to tailor the Symmetra to meet your specific needs. Symmetra Accessories Features & Benefits. 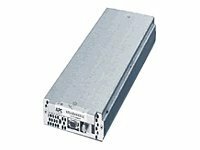 APC Symmetra LX frame electronics module- 230V. This parts kit contains spare parts for the APC product model shown. Symmetra Features & Benefits. APC sets the standard in its industry for quality, innovation and support. Its comprehensive solutions, which are designed for both home and corporate environments, improve the manageability, availability and performance of sensitive electronic, network, communications and industrial equipment of all sizes. 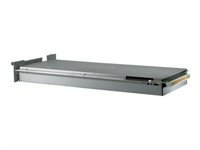 The mission of APC is to improve the manageability, availability, and performance of information and communication systems through rapid development and delivery of innovative solutions to real customer problems.This product demands 230 V.
APC Symmetra LX module CTO kit- UPS Frame. This kit enables shipment of the Symmetra UPS installed in a rack with all its modules installed inside the UPS frame. 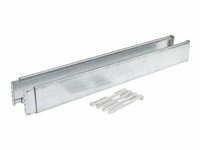 The kit includes extra rails for supporting the top of the frame and cleats that hold the modules in place. APC Symmetra RM 2-6kVA and 8-12kVA Redundant Intelligence Module. Accessory solutions to tailor the Symmetra to meet your specific needs.